This entry was posted in facts and figures news and tagged MINI Clubman MINI USA pricing on September 25, 2015 by James Day. Prices are before the $850 Destination and Handling fee. Woodcliff Lake, NJ – September 25, 2015… MINI USA announced pricing today on its all-new 2016 MINI Clubman with a Manufacturer’s Suggested Retail Price (MSRP) of $24,100 for the Cooper model. 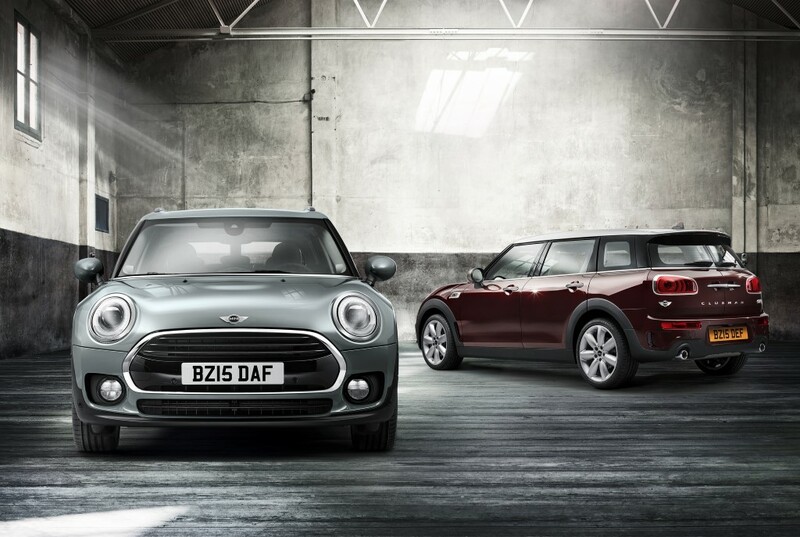 The most spacious and versatile MINI every built, the new MINI Clubman is the first MINI to enter the compact premium segment. It is both longer and wider than previous MINI models and offers premium quality and craftsmanship in every detail for under $25,000. The Cooper S variant will start at $27,650. All prices exclude the $850 Destination & Handling fee. Like every MINI model in the product line up, all options are available a la carte, as well as in bundled packages. This means customers can decide to pay for only what they select and are not forced into more expensive packages that include equipment they don’t want or need. The new MINI Clubman also features a number of special upholsteries that have been developed specifically for the vehicle, including a smooth-grained Indigo blue-dyed leather with diamond-stitching in the pattern of classic English Chesterfield sofas, and a rich Burgundy leather with environmentally friendly Dinamica trim. While the new MINI Clubman is longer and wider than any other MINI model, the newest member of the MINI family endured extensive testing on the Nürburgring in Germany, the Circuit of Miramas in France and the Millbrook Proving Ground in the UK, as well as the legendary roads of Wales. This testing was conducted to ensure that the new MINI Clubman maintained the legendary “fun to drive” handling that enthusiasts expect on the road. The new MINI Clubman will be powered by BMW Group-developed three- and four-cylinder MINI TwinPower Turbo Technology engines, and like all MINI models and trims, will come standard with an efficient six-speed manual transmission. Meanwhile, the Cooper S variant will offer an optional 8-speed automatic or 8-speed sport automatic transmission with paddle shifters. This high tech and efficient sporty transmission is not only a first for MINI, but also a rarity in the segment. Comfort Access keyless entry with hands-free Easy Opener for split rear doors. The Clubman will go on sale in January 2016 at MINI dealers across the U.S. Customers looking to build or pre-order a new MINI Clubman can use the configurator now available at MINIUSA.com or visit their local MINI dealer. For full vehicle specifications, please see the detailed product news release here.